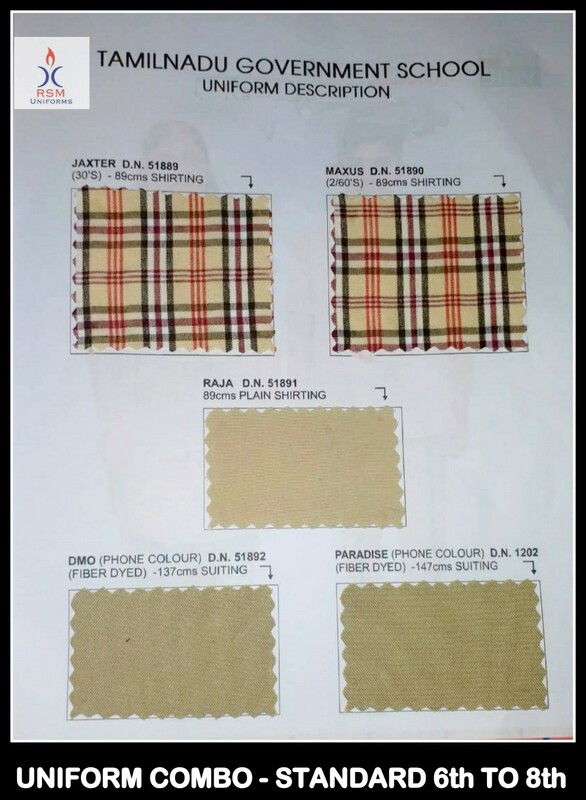 Tamilnadu Government school Uniform dealers in Chennai !! 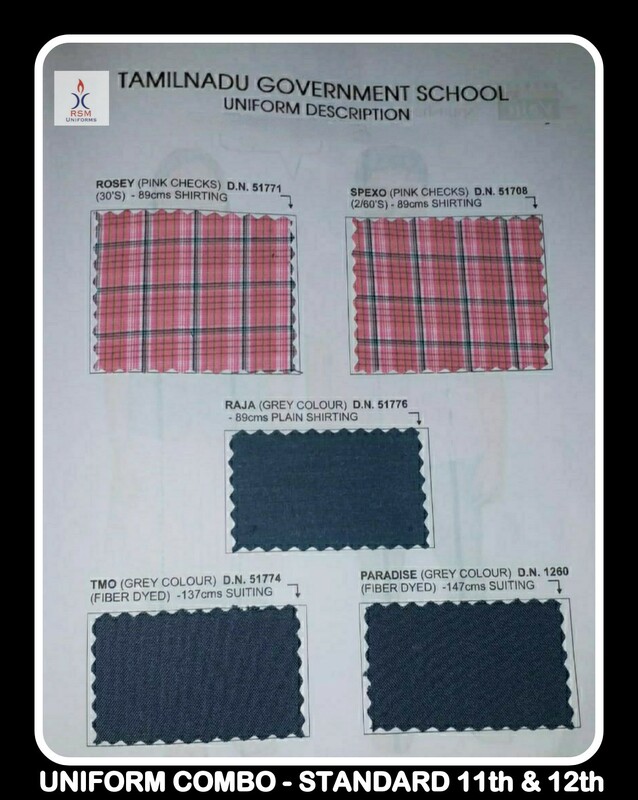 We at RSM Uniforms now have all the variety of Tamilnadu government school uniforms at our store located at godown street in Chennai. 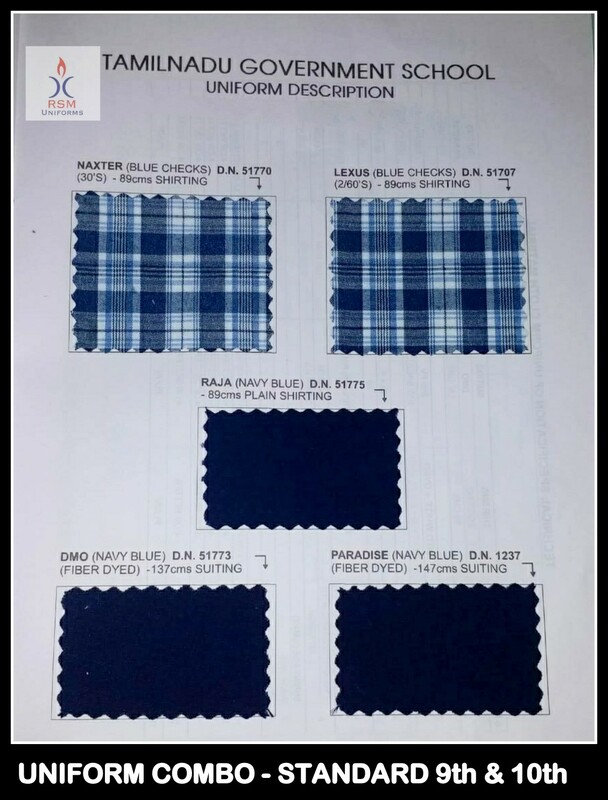 The recently launched school uniform for children from 1st to 5th standard and also for students from 6th to 8th standard is readily available as material with us. 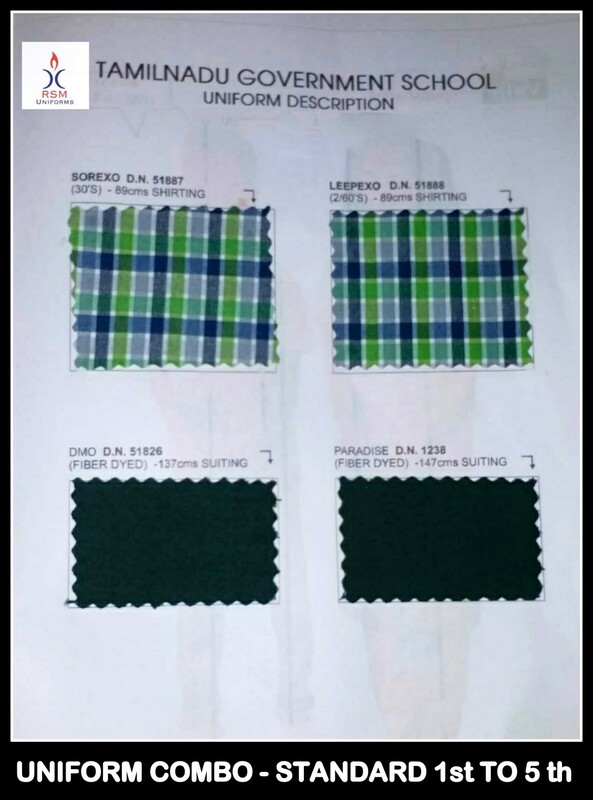 For your enquiries of government school uniform in Tamilnadu call us now at 9176634635. Happy to help you.